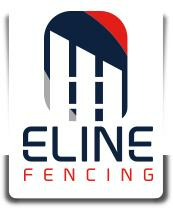 At Eline Fencing we pride ourselves on quality and reliability. Specialising in all aspects of residential and commercial fencing from Colorbond and Gates to Glass Pool Fencing and PineLap, we even install Retaining Walls and supply Temporary fencing for your projects, no matter how big or how small your job is, we can do it all! Taking in the local metro area, formal written quotes can be provided within 2 days. Colorbond fence Temporary Fencing PVC Fencing and Gates Picket Fence and Gates Pine lap Fence and Gates Brushwood Fence and Gates Glass Pool Fence Colorbond Gates Aliwood Fences and Gates Pool Fencing Tubular Steel / Wrought Iron Feature Fences Custom Made Gates ?Brick Pillar Infills Aluminium Slatted Gates and Fences Fence Repairs Fence Removal Asbestos Fence Removal Rural and Farm Fencing Chainmesh Fencing Garrison / Security Fencing Panel and Post Retaining Systems Supply of Materials.